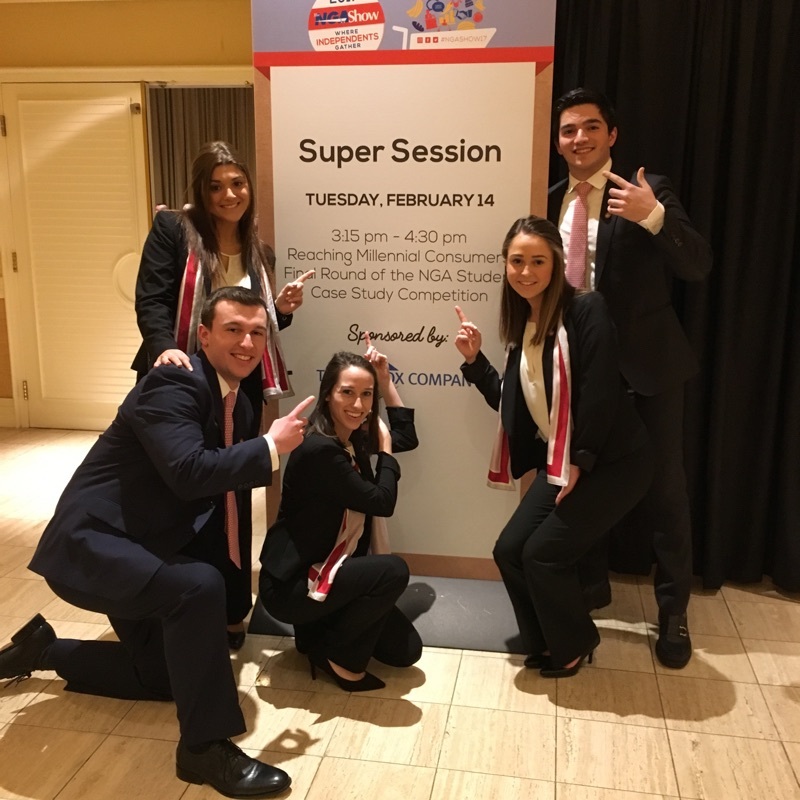 Chris ’18 and four other Food Marketing students had the opportunity to compete in the 2017 National Grocers Association (NGA) Student Case Study Competition in Las Vegas, Nevada this semester. Thankfully, he and his team were able to bring a 2nd-year win back home to Saint Joseph’s University. Going to Las Vegas will always be an adventure. Everyone who has gone or has not gone can attest to that. Going to Las Vegas on a school trip is essentially unheard of. When I told people I was going to Las Vegas for a case competition, they either thought I was lying or that it was some excuse to party out in Las Vegas. Both were far from the truth. We all know about the Food Marketing program as Saint Joseph’s students. Everyone knows that it’s one of the top programs in the country, but you might not know why. Well, I believe it’s one of the best for reasons like having the tools and the teammates strong enough to be able to to win case competitions in Las Vegas against other top programs. For the past two months, my teammates and I have been working diligently on a retail case for a food store. We had to figure out how Harps Food Stores could attract more millennials into their stores, given a $50,000 budget. 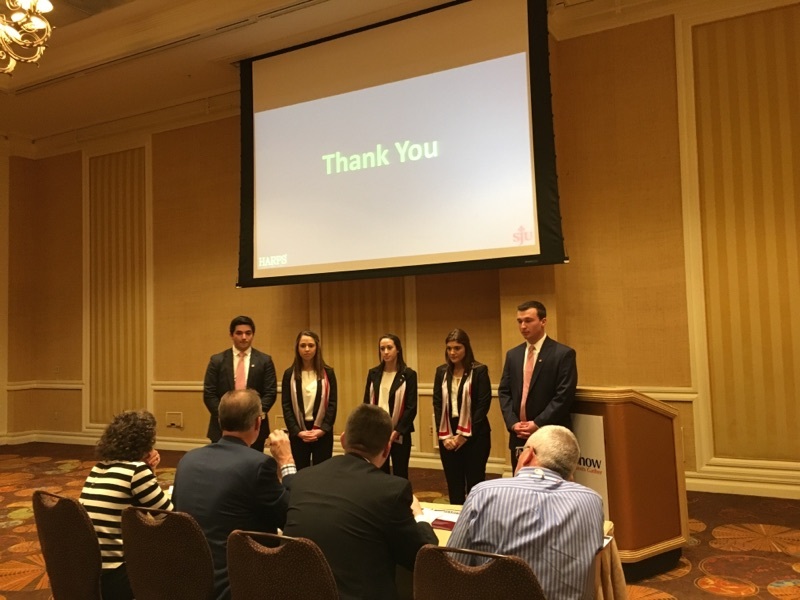 We then had to come up with strategies for how they could do so and then present them to a panel of judges in Las Vegas against 14 other schools working on the same case. There’s only one winner; second place gets nothing. With the expectation of winning for the second consecutive year, and the entire field of teams coming after us, there was a great deal of pressure. So how did we deal with it? Hard work. Sure, it sounds like a cliché, but that was our response. No one likes doing work over Christmas break, especially in college when there isn’t supposed to be any. We wanted to win, though. Researching our case over Christmas break was crucial for us. When we got back to school, we spent 6 days per week working on this case for many hours at a time. It took a ton of research. At times, it felt like we were behind where we wanted to be. But continuing to work hard every day on this case was what got us to our final product. 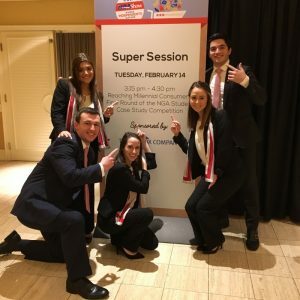 Everyone in college knows about “all-nighters.” I’m not going to lie, it took a few of those during the week leading up to Las Vegas in order for us to complete our case. The last few days were tough as we worked toward the goal of memorizing a script that we would present word for word in front of the judges. This was our secret weapon. It allowed for us to have the most professional presentation that we could possibly have. It also showed that we really knew what we were talking about. 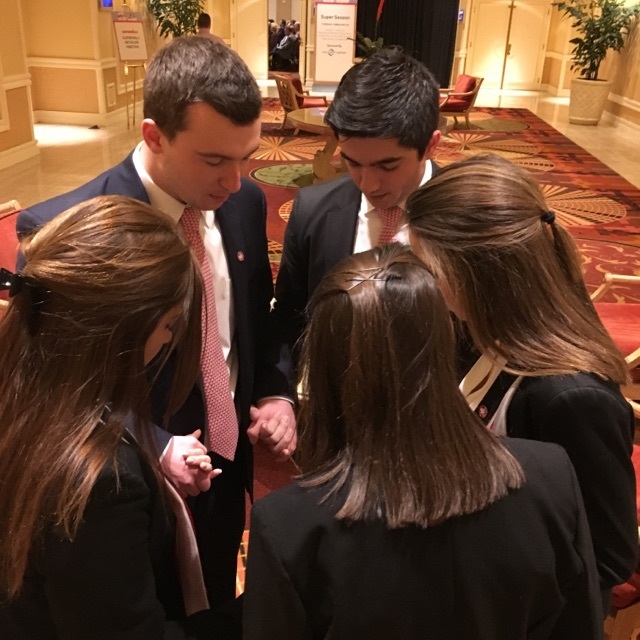 By the time we got to Las Vegas, we were extremely prepared as a team, but we still took time for a few hotel room practices as well as practicing while out in the streets of Las Vegas. Other than that, we wanted to enjoy everything about Las Vegas once we got there. Relaxing was key. It kept our minds at ease in the days before the competition. 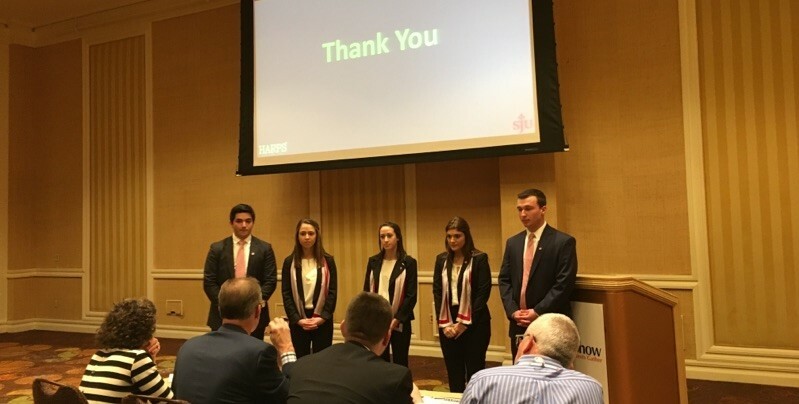 By the time the competition started, we had a little swagger in our presentation. I’m not sure if it was the Vegas vibes or our confidence in the content of our presentation. It was probably a mix of both, but it propelled us to victory over big-time programs such as Cornell and Cal Poly. Our team was rewarded with $8,000. Our team got half and the other half went towards scholarships for Food Marketing majors. The hard work paid off. Never have I put so much time into something. Nothing even close. Situations like these can really teach you a lot about yourself. I think these are some of the reasons Saint Joseph’s prepares us for the real world better than most schools. I can’t be more thankful for the opportunity this school gave us. 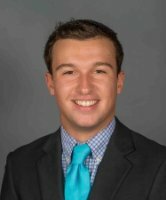 Chris Lazzarotti is a Junior Food Marketing major from New York. Along with his academic involvements within the Haub School of Business, he is a member of Club Golf, Radio 1851, Big Brothers Big Sisters, and Work Study.